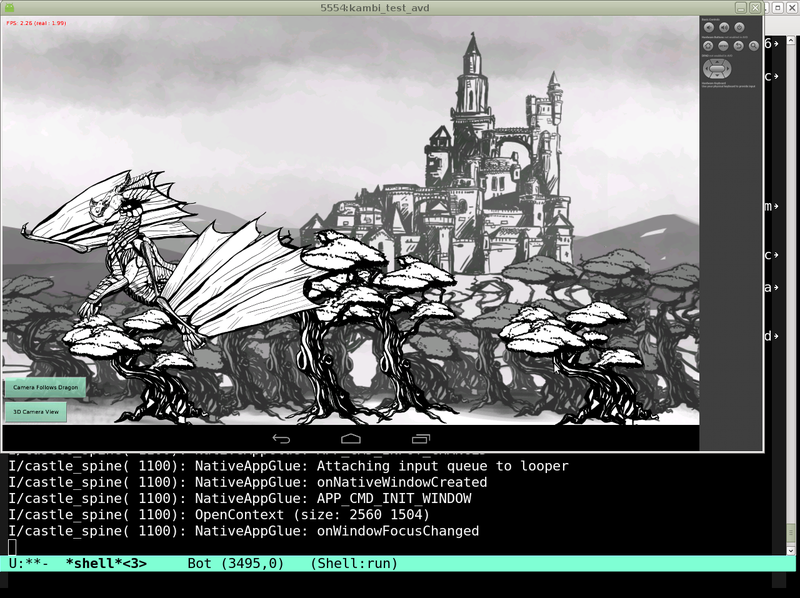 Pascal Game Development - Castle Game Engine 5.1.1 release - Spine (2D animations), Android, more! We proudly present a new official release of Castle Game Engine 5.1.1. Castle Game Engine is a modern cross-platform open-source 3D/2D engine for FPC/Lazarus. See http://castle-engine.sourceforge.net...?id=2014-12-30 for links and full release announcement. Build tool, for easily compiling and packaging our programs on all platforms (including Android). See https://sourceforge.net/p/castle-eng.../Build%20tool/ . A lot of improvements for 2D games and for Android. See also new tutorial page about developing mobile / portable games using Castle Game Engine . New shiny 3D Text implementation (fast and portable to Android). Support for international text for font in UTF-8. Many new X3D extensions, like NavigationInfo.blendingSort. Also be sure to install on your Android device a demo of Castle Game Engine + Spine! It's completely free of course, and the source code is one of the examples in Castle Game Engine sources. "Dragon Spine" is also available for Windows or Linux. You can also watch the video!. Venice - new 2D adventure game with superb graphics and storyline, in the making! In latest news, Castle Game Engine version 5.1.2 was just released! Get if from http://castle-engine.sourceforge.net/engine.php . These should be used to watch open/close of the context, to watch key/mouse events and to perform continous updates. Some previous published stuf is deprecated now and will be removed in next release (sorry, we have to break compatibility --- this old stuff really doesn't make much sense, all new code should use new events). Also, the deprecated OnPaint was fixed --- just in case you're using it (but please switch to using OnRender soon!). * The beginning of the tutorial is much improved, it's smoother and shorter now. The goal is to be able to make a 3D game in 5 minutes using the tutorial! * Also, the tutorial chapter "Adding a simple moving object" was added: http://castle-engine.sourceforge.net..._transform.php . 3. You can save almost 0.7 MB from exe size by undefining CASTLE_EMBED_ALL_3D_FONT_VARIATIONS in some cases, see src/base/castleconf.inc for comments. 4. Various testsuite fixes and improvements. 5. Improved CastleCurves API, and also mark most of it as deprecated.